Since it was first identified more than a century ago, we still have no cure for Alzheimer’s disease. Among the various avenues that researchers have been working on to try and understand the causes and potential treatments for the disease, the role of blood vessels has been increasingly a focus – and in particular the “blood-brain barrier”, a protective layer of cells that regulates what can enter the brain through the blood. The brain has a dense network of blood vessels, which if stretched end-to-end would cover more than 5,000 football pitches. However, unlike the blood vessels in other parts of the body, these vessels restrict which things can enter the brain from the blood stream. 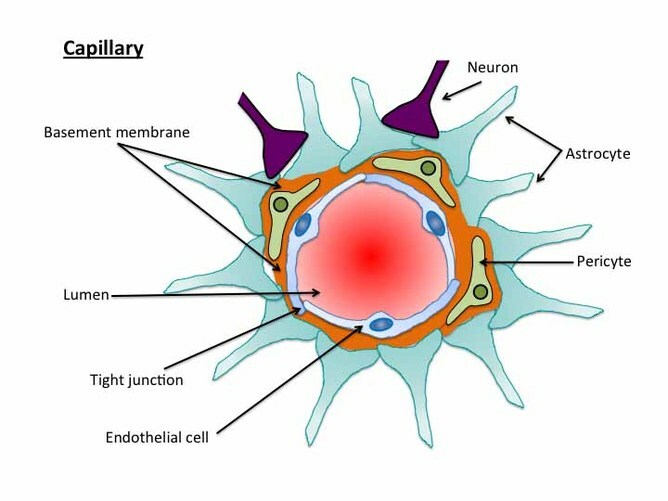 It does that by forming a physical overlap of cells, such as pericytes and endothelial cells, that make up the blood vessel wall and forms tight junctions that control the entry and removal of substances into and out of the brain. Components of the blood-brain barrier in a capillary of the brain. The blood-brain barrier is usually very tight in young, healthy people. This means that the brain controls what substances get in, which is important for proper brain function. However, this high level of control can be a problem for treating brain diseases because drugs in the bloodstream can be kept out of the brain. A lot of research is being done to try get around this problem, for example by attaching the drug to a substance that the brain normally takes up like glucose. Other approaches include attaching the drug to nano-particles that are small enough to pass between the cells of the blood-brain barrier or by directly loosening the barrier using ultrasound. However, this approach needs to be applied very carefully because opening the blood-brain barrier can also allow entry of toxins and other damaging substances into the brain and cause injury. As well as acting as a gatekeeper for entry of substances into the brain, the blood-brain barrier is important for removing waste products from the brain. One of these products, β-amyloid, is a key player in Alzheimer’s disease. β-amyloid is made in the brains of everyone. 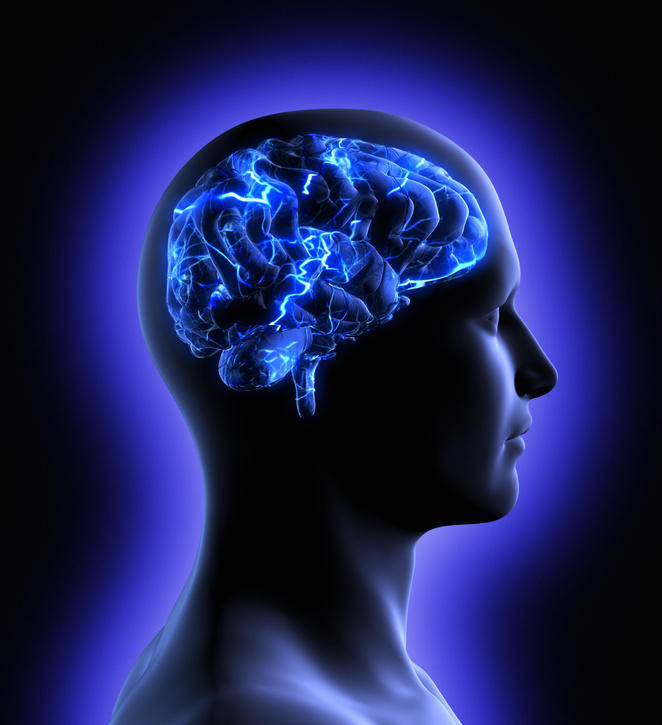 In the healthy brain, it is quickly removed from the brain by moving across the blood-brain barrier into the blood. In the old brain, this movement is slower and allows β-amyloid to build up. And as it builds up, β-amyloid causes damage to both the brain and the blood-brain barrier, which in turn creates further damage by decreasing the removal of β-amyloid from the brain and allowing entry of toxins from the blood. This on-going cycle of damage is thought to contribute to the development of Alzheimer’s disease. Because the cells that make up the blood-brain barrier are very small, it is difficult to see changes in the health of the blood-brain barrier in a living person. But recent advances in brain imaging have helped to solve this problem. A research group at the University of Southern California have used a new form of magnetic resonance imaging (MRI) to measure blood-brain barrier breakdown in the brains of young and old people and people with mild cognitive impairment. These people don’t have overt dementia, but are at high risk of developing Alzheimer’s disease. The group found that the tightness of the blood-brain barrier decreases naturally with age, and that the blood-brain barrier was “leakier” in old people with mild cognitive impairment, compared to old people who were cognitively normal. These findings suggest that the function of the blood-brain barrier declines with age and supports the belief that loss of blood-brain barrier integrity plays a role in the development of Alzheimer’s disease. More and more work is pointing to a role for blood vessels and the blood-brain barrier in the initiation of Alzheimer’s disease dementia that could form the basis for new therapies for the prevention and treatment of Alzheimer’s disease. Although there is some promising work suggesting that increasing the levels of proteins that transport β-amyloid across the blood-brain barrier may help to decrease its accumulation, much work still remains in the development of Alzheimer’s disease therapies that target this barrier.